Bancha Tea is your everyday Japanese green tea with a fantastic and unique flavor and yet still full of wonderful green tea health benefits. This tea is different from other Japanese green teas because it is made from older and larger leaves. Taken naturally, grilled or with roasted cereal grains, this type of tea offers you a wide range of flavors and experiences. It is a great inexpensive tea, strong in flavor but low in caffeine, which makes it the perfect tea for you to drink anywhere and anytime you desire. Bancha may just be the right tea for you! So let’s go on a green tea adventure and journey to the Far East. Come and unveil the magical world of Bancha. Bancha tea is type of Japanese green tea made from older and larger leaves. Leaves are harvested later in the year, sometime between summer and autumn. Older and coarser, Bancha leaves are the ones picked after the second flush of Sencha. As a result, it is considered the lowest grade of green tea. Still, it provides you with many varieties, a total of 22 grades waiting to be discovered. An exquisite woody flavor and a yellowish color embellished with a unique aroma make up the base of the tea that will delight your senses. Bancha tea leaves can be roasted and blended to make up two very surprising subtypes of tea that are so amazing on their own that they have managed to increase the reputation of Bancha itself. These Bancha subtypes are Hojicha and Genmaicha, two beverages that combine the powerful green tea antioxidants with unique flavors. Let’s have a look at these Japanese green teas and find out what makes them so interesting. Hojicha is usually made from Bancha tea leaves, and more rarely from Sencha tea leaves or even Kukicha twigs. This subtype of Bancha tea comes from the Shizuoka district in Japan, where it is roasted in porcelain pots over charcoal at high temperatures. This curious processing technique gives Hojicha its reddish-brown color and an earthy and toasty flavor. Due to the roasting process at high temperatures the level of caffeine and catechins is lower. This is the perfect tea to take during or after meals. It will make you feel refreshed and healthy. Would you like a cup of popcorn tea? 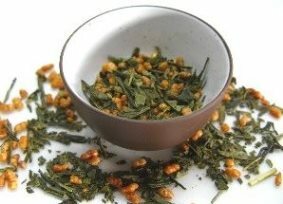 Genmaicha Japanese tea also comes from the Shizuoka district and is made with needle-like Bancha jade-green tea leaves and Genmai, which is roasted rice grain. 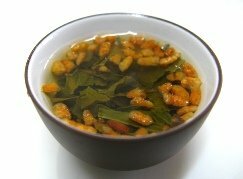 Genmaicha, or brown rice tea, can also be called popcorn tea due to the rice grains popping during the roasting process. Like natural Bancha and Hojicha, this tea is great to drink it during or after meals. It goes well with all kinds of dishes. 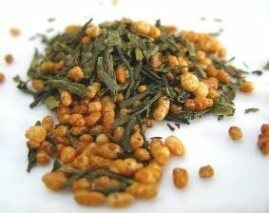 Genmaicha will intensify your senses and take you on a fascinating trip. Being a Bancha tea, it has low caffeine content due to the roasting process and the type of leaves that are used. So you can drink it any time you wish, even at night and cherish the tranquility and peace it offers you. Now imagine how amazing this combination is: a fresh grassy flavor and a nutty toasted aroma, embellished with an enchanting yellow-green color. Before you prepare your tea, let’s explore the amazing world of tea benefits. Being a green tea, Bancha possesses the common green tea properties such as theanine, catechins, flavonoids, vitamins, minerals and essential amino acids. All these compounds bring numerous health benefits. Being harvested later in the season and with tea leaves that are broad and coarse, the caffeine content in this Bancha is very low, so if you are looking for a caffeine alternative, this may be a healthier choice for you. Even though the level of caffeine is low, this tea has a refreshing and light flavor that may prove to be an interesting substitute for fizzy drinks at mealtimes. Bancha tea has a less significant presence of catechins in its leaves than other green teas. Still, it is enough to protect your heart from cardiovascular diseases by lowering LDL (bad) cholesterol levels. With less caffeine, Bancha tea puts less pressure on your heart than other stimulants, reducing the risk of palpitations. As you may know, green tea is a fantastic fat burner and it helps you to lose unhealthy extra weight, if combined with a healthy diet and proper physical exercise. Bancha tea is no exception when compared to other green teas. It is actually highly recommend in macrobiotic diets. It is nutritious and light and its flavonoid content helps you burn fat faster while you perform your daily activities. Green tea antioxidants have the power to rejuvenate your cells by slowing down the oxidation process and preventing damage to your DNA that causes skin ageing. Drinking this tea on a daily basis will help you look younger and fresher. Your skin will be smoother and cleaner, with less wrinkles and dark spots. When brewing Bancha tea, antioxidants are released into your tea cup and with each sip you will be fighting free radicals, which are responsible for the destruction of your DNA and can cause cancer. Green tea antioxidants are powerful allies that limit the growth of cancer cells and boost your immune system, giving you the upper hand in the fight against cancer and other harmful diseases, mainly caused by bacteria and viruses, through disease preventive action. A healthy smile is one where you see no dental plaque or tooth decay and feel no bad breath. These symptoms are not hard to solve or to prevent. So all you need is a nice cup of green tea. Even better, try rising with it after meals and feel its freshness in your mouth. Be aware that, for you to take advantage of this benefit, you should not put sugar in your tea. Considering this tea has less caffeine than most green teas, this means that it takes a lot more cups of Bancha tea to cause the effects that one cup of strong coffee could bring you, such as headaches, irritability and heart palpitations. If you are pregnant you should always consult your physician first, your caffeine tolerance will be much lower than usual. However, it is expected that it should be safe for you to drink this and enjoy its health benefits and its unique flavor. To savor this tea properly you should learn how to brew it, so come and see step by step the magical process of brewing each variety of Bancha Tea. Every tea has its own character and Hojicha – grilled Bancha tea - is no exception. In order to get the most out of it you must brew it the right way. Prepare your pot and cups and let’s brew Hojicha. For Hojicha Bancha tea, you can use a large teapot and serve it in Japanese bowls or cups. 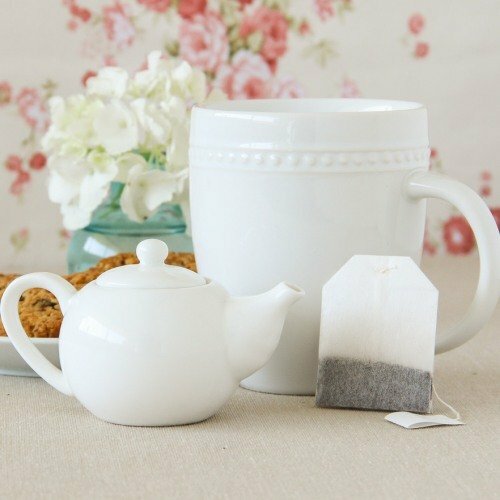 Cast-iron teapots are perfect for brewing this tea, so consider purchasing one. The ideal water temperature for brewing Hojicha in near-boiling, between 90ºC - 100ºC (194ºF – 212ºF). This allows the tea to release the sweet and woody aroma. The first step is to preheat your teapot with boiling water to keep it warm. Remove the water from the teapot and dry it carefully and thoroughly. Take a heaping teaspoon of Hojicha leaves per serving and place them inside the pot. As you do so, observe the grilled appearance of the leaves, so unlike other green teas, and take a whiff of its smoky fragrance. Now begin pouring the near-boiling water into the teapot. Cover the teapot and let the tea steep for 2-3 minutes. If you wish to rebrew this tea using the same leaves, add 30 seconds to 1 minute to your steeping time. Your leaves should be good for 2-3 brews without impact on flavor. Drink it and enjoy a moment of pure pleasure. Combining green tea leaves and brown toasted rice to create a stunning beverage requires precision and passion. That is the world of Genmaicha Bancha tea. So honor this tea by learning how to brew Genmaicha. Get a large teapot and Japanese tea bowls or cups so that you can enjoy this tea in true Japanese fashion. The ideal water temperature should be between 80ºC - 90ºC (176ºF - 194ºF). If you brew your tea at higher temperatures you will get a stronger flavor, the only downside is that the next brews will give you a weaker tea. Place the tea leaves (1 teaspoon per cup) in your teapot. You may wish to use a tea infuser, as once you pour the water, the leaves will not float to the top of your tea, but the rice grains will. Let your Genmaicha steep for 2-3 minutes. As soon as you pour the water in your teapot, you will feel the nutty aroma coming from your teapot. It is quite unique. Note that you can rebrew your tea if you wish, but some stores sell Genmaicha with matcha powder covers grains. The matcha will dissolve in the first brew, so you may wish to add some to the second or third brews. Enjoy your tea at meal times. This is a great tea with a yellow-green liquor and a nutty flavor. It pairs greatly with Japanese dishes and it can take the edge off wasabi flavored sushi or salted dishes. There is a balancing nature to this tea that makes you want to drink it with your meal. You may enjoy pan-roasting your own brown rice at home and adding it to Bancha leaves, but Genmaicha is becoming so well-known around the world that you will have no trouble finding it ready for you to brew. Put the kettle on and pick your tea! Now if you wish to brew regular, natural Bancha tea, you have come to the right place. Get out your teapot again, cast-iron or enamel is fine, as long as it is not aluminium, as it may chemically interact with the tea. The water you use for your tea should be of good quality, to ensure that your tea tastes well. Do not let your water reach a boiling point, so grab a thermometer and check that it remains somewhere between 70ºC – 80ºC (160ºF – 176ºF). Place 1 teaspoon per cup of water inside your teapot. You may wish to use an infuser. 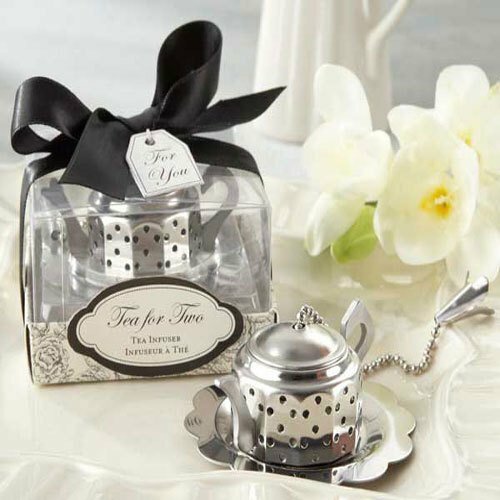 Let your tea steep from 1 to 3 minutes, depending on the strength you want your tea to have. You will end up with a flavorful tea with a yellowish color. Pour the tea into cups and drink it slowly. Take your time to appreciate natural Bancha tea. Green tea never disappoints you, and Bancha and its subtypes are no exception. Whether you drink it hot or cold, it will take you on a journey you’ll never forget. 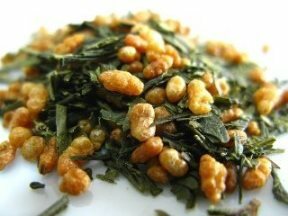 Buy Your Genmaicha and Hojicha Today! And for something totally different in the world of green tea, taste the roasted taste of Genmaicha Yama from Palais des Thés (US). This is truly a popcorn tea as you can make out the puffed corn and toasted rice grains among the beautiful green tea leaves. The dry leaf has a delicate green tea smell, slightly fruity and floral, but as you taste it you begin to feel the nutty and toasty flavor of the rice and corn in your mouth. With every sip you know you are drinking a great quality Japanese tea. Remember that it goes great with sushi and other sorts of Japanese food. 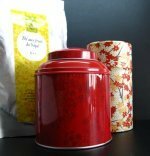 Buy your Genmaicha Yama Tea! - Green Tea Properties – for a look at what makes Green Tea such a special drink. - Green Tea Health Benefits – to learn a bit more about the health benefits green tea has to offer.